Mission Statement Red Rose Inspiration for Animals, Inc. is focused on saving abused, neglected, homeless animals. We are dedicated to healing and rehabilitating canines who have suffered from emotional abuse helping them become adoptable. We are a no kill organization that promotes spay and neuter to make a difference in the over pet population of canines and felines. We promote programs that connect animals with people. Services and Projects We are an artist boutique and unique, quality thrift store with Clothing, Home Deocor, One of A Kind Artworks. Proceeds Benefit Red Rose Inspiration For Animals. Red Rose inspiration For Animals needs a variety of volunteers for many different positions. We are looking for volunteers for our art shows for next year 2015 to work the booth. Work our Rummage For Rescue- preparing and sorting items for sale. Working in our Thriftique in a variety of capacities, sales floor, ironing and helping sort clothes. Red Rose inspiration For Animals needs a variety of volunteers for many different positions working in retail and out in the field. We are looking for volunteers for our two retail stores Red Rose Thriftique in the VOC (41 Bell Rock Plaza) and Red Rose Re-Tails Thrift and 841 Main Street in Cottonwood. We need sales associates, library assistants, sorters for going through inventory, cleaning and small repair associates and marketing specialists. The Red Rose Thriftique is a High Quality Thrift Store and Artist Boutique and we are looking for Designer Clothing, Home Decor, Kitchen Items, Books, Cd's and Dvd's etc to sell in our store. All the proceeds benefit animal rescue programs we created. 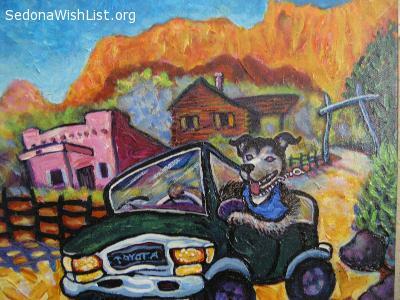 We help animals throughout the Verde Valley. Thank you for considering us and helping us to make a difference. 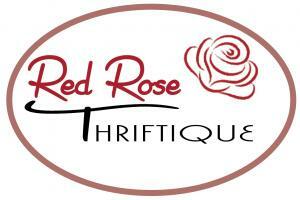 The Red Rose Thriftique is a unique, quality thrift store and artist boutique that is in need of donations. We accept designer clothing, home decor, kitchen appliances and kitchen items, books and more. Red Rose Inspiration For Animals is looking for volunteers for our Rummage For Rescue on Saturday, November 1 from 10:00 am to 3:00 pm at the Olde Sedona Bar and Grill. All proceeds benefit our organization and our programs at Red Rose..
We are looking for volunteers to work the booth and organize the inventory prior to the event. Red Rose Thriftique has opened its doors in VOC as an adjunct to Red Rose Inspiration for Animals. This means that every time you shop there or donate one-of-a-kind artwork to it you are actually helping to save abused, neglected or homeless animals through the Red Rose spay and neuter program, which also connects animals with people. All Thriftique staff are volunteers, too, making your impact that much greater, since all proceeds can go toward its mission.